Toyota came to BMF in search of new ways to highlight the unique and differentiating characteristics of their annual vehicle fleet to media, industry influencers, and consumers. Now in a five-year long partnership, BMF consistently builds programming and experiences that allow media and consumers to embrace both the innovative product offerings and lifestyle that only Toyota can provide. BMF has partnered with Toyota and Lexus (an owned subsidiary) since 2014, to execute a series of media immersion trips and New York International Auto Show celebrations designed to educate and inspire consumers and media alike. For the past 5 years, BMF has transformed models such as the Highlander, Camry, Corolla and the RAV4, as well as concept cars such as The I Trill and FT-1. Through the power of design, BMF created interactive environments to generate high consumer engagement, from adult carnivals to concrete safaris. At the 2018 NYAIS, BMF brought to life the newest releases of three of Toyota’s key models - The RAV 4, The Corolla, and The I Tril concept car. Within the space, each vehicle was surrounded by hexagonal halos of light, with matching custom light fixtures from above – encouraging guests to step inside and experience each model. The event also honored Toyota’s partnership with US Olympic and Paralympic athletes, reinforcing the brand’s relevance and commitment to the larger community. 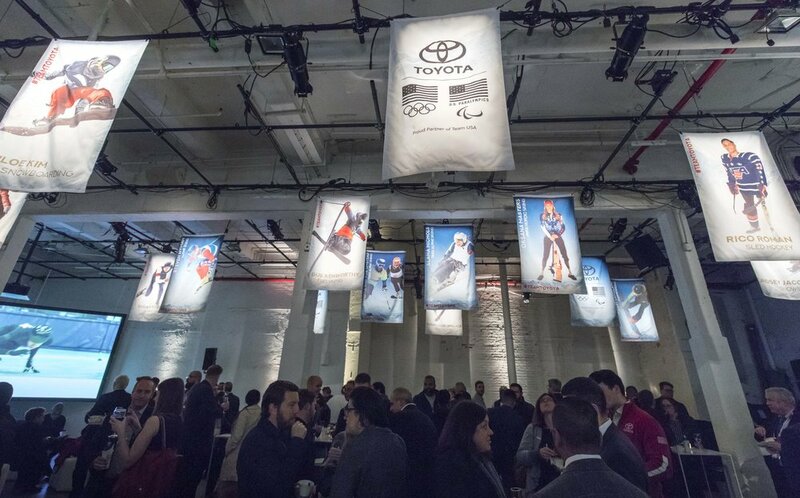 Tapestries of the invited Olympians graced the ceilings while a 23-foot “Team Toyota” wall stood loud and proud, serving as a photo moment for guests. In 2016, to commemorate the 50th Anniversary of Toyota’s iconic Corolla, BMF created an innovative media event to celebrate the classic car and its journey through time. Activations within New York City’s Shop Studios included a timeline detailing the history of the Corolla with vintage models and artifacts, a sizzle reel documenting the 50 year history, and a green screen photo booth that showed twelve generations of the famed car. In addition to NYAIS centered events, BMF has also partnered with Toyota and Lexus to execute immersive media trips designed to educate and engage the press community. 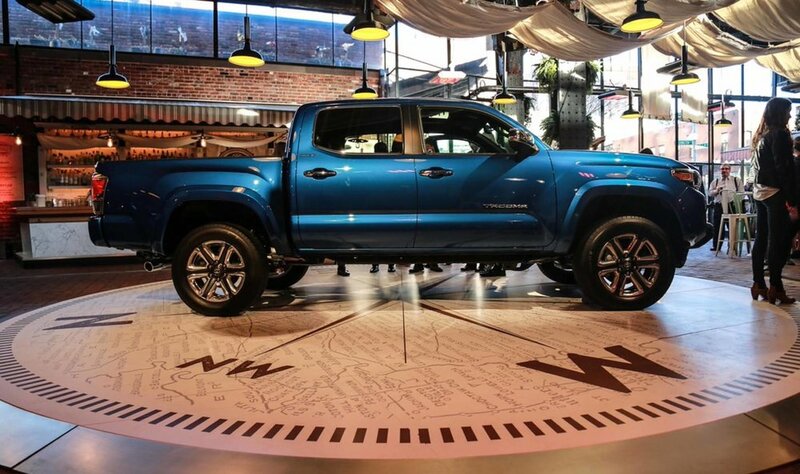 For the 2015 launch of their new Lexus NX model, BMF envisioned a two-day experiential activation in Nashville TN, where journalists could not only preview the new vehicle, but were enveloped in everything “Grit and Grace” the overarching theme and persona of the model as well as the trip. Lexus brand leaders were able to enjoy personal and direct interactions with media throughout the trip, offering immense connectivity and added value.